Ever wanted to visit a traditional market in Morocco? 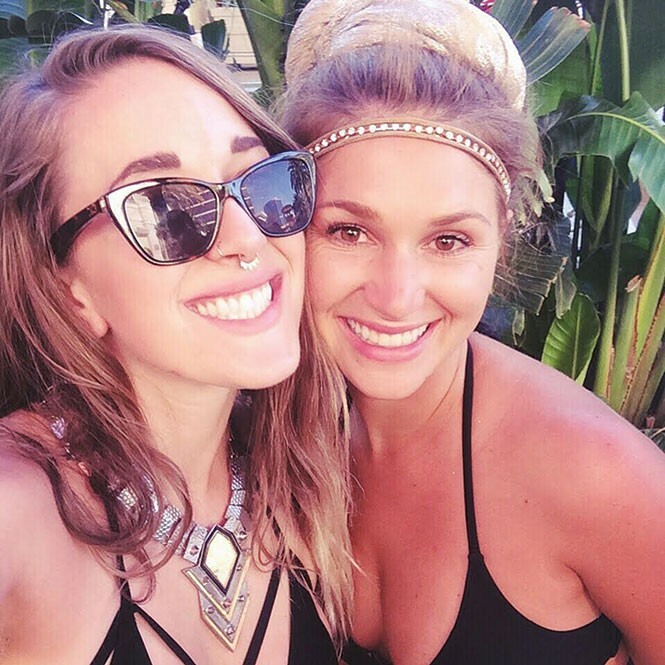 Stephanie Panos and friend Allison Navar met at the University of Utah and launched the online boutique, InternationalGypsy.com. The pair are currently visiting cities in Morocco and posting on their websites photos of art, jewelry, fashion and home décor they're finding on their travels—along with back stories and profiles of the artists. Customers are invited to order goods from the marketplace via online flash sales; the pair will bring (or ship) these items back to customers. Look for them in Casablanca Sept. 13 and Fes Sept. 16. Stephanie Panos: First, we decided we were going to Morocco—we decide to go somewhere new every year. I don't know exactly how we decided on Morocco, but they are pushing tourism, so we got really decently priced flights. And how did you decide the cities? SP: The locations were based on research. Casablanca is going to be the most well-known name, so that can draw people in by being recognizable. Fes is the oldest Gothic-Arabic city, and it is also the largest nonmotorized vehicle city in the world. Both are full of medinas, little shopping areas. The medinas in Marrakesh, where we stopped Sept. 8 and 9, were supposed to have a lot of snake charmers and monkey dancers. Is this your first international boutique sale? SP: This is the first time doing it. We're super-excited about this. We go somewhere every year, and we see all of this amazing stuff. We want to be able to not only share lots of stuff, we want to be able to share the experience we have. We're going to do profiles on the people we meet who are creating the art we feature. Those profiles will be on our website, and it'll tie back to what they create in our store. SP: We're going to go into a city, meet the craftsmen, take pictures and post everything. Then, it's going to be available while it's posted. We'll buy everything before we leave the city, so we have no inventory on-hand. We probably will end up having a few extra things that we'll sell later, but we're trying to promote getting it while you can. We're going to be carrying a lot of stuff, so we don't want to carry too much extra. How does this benefit Utah's community, or expand their cultural experience? SP: It's our way of bringing a piece of a different part of the world back, trying to promote the idea of getting an authentic import. Originally, I was toying with the idea of "globally local." It's local, on a global scale—a window into another person's world. We've been featuring artists from Utah on our Instagram—jewelers, henna artists—and we want to embrace the idea of creation across the board, featuring artists everywhere. Internationally, we're promoting Morocco, because that's where we're going. But we're huge fans of the local culture here in Utah, as well.